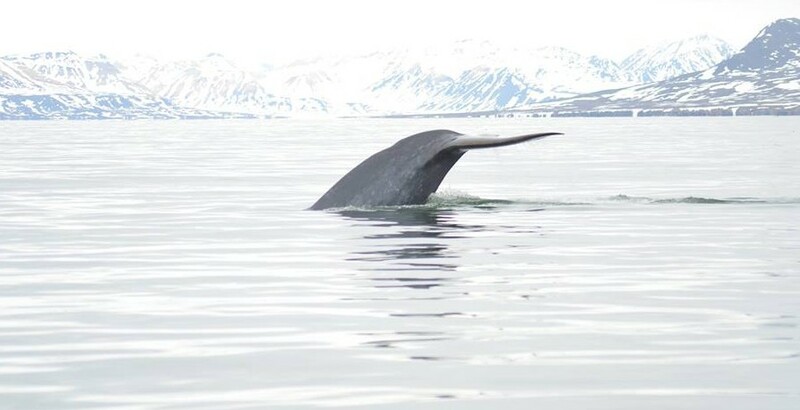 A perfect calm day and a good opportunity for whale watching. During the days, I can see three blue whales from the harbour through a telescope. Kjell Tore Hansen was closer and took these pictures. He also had a minky whale next to the boat. In the evening, we had our own encounter during a walk to Brandalpunkten. 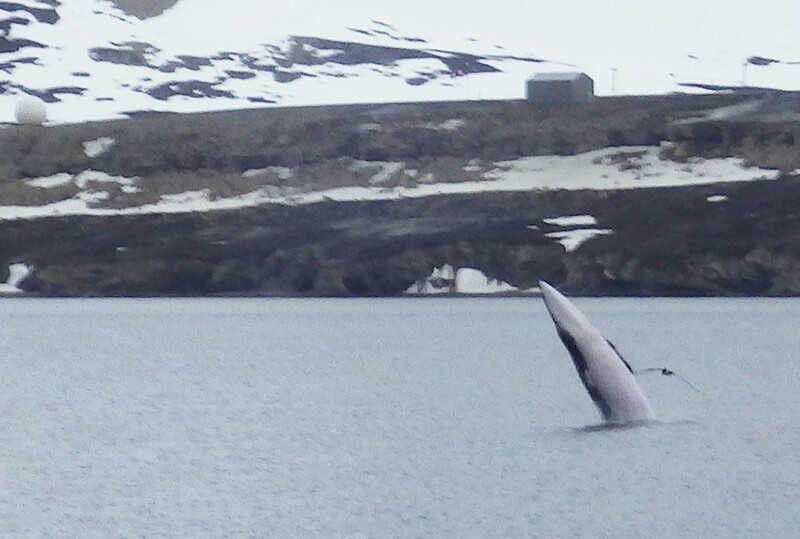 A minky whale was close to the shore and suddenly it even breached. Yuta Morii caught it in a picture. Above you can see the minky whale surfacing. Click on the picture.